Core technical teams, such as product development, server, storage, networking, security, and backup and recovery. Gathering requirements is an iterative process, which might require multiple rounds of interviews. Assuming one of the objectives of the design is the migration of workloads from an existing environment, one of your first engagements is to analyze its current state. Use tools and automation to gather environment data. This will reduce the data collection time and minimize the possibility of errors in the data you might otherwise collect manually or from people. You may also need to gather realistic estimates for future workloads that the design needs to cater for. Conceptual design has a focus on achieving goals and meeting or exceeding the requirements. Leverage the information from SME/Stakeholder interviews (Scope / Goals / Requirements / Assumptions / Constraints) and from information gathered in current state analysis. Determine how the goals map to each entity. Create an infrastructure design that meets and/or exceeds each entity’s goals and requirements, but stay within constraints – i.e. where do you need availability, scalability, performance, security, and manageability (AMPRS). Document everything! e.g. diagrams, tables, and text. When do we need this done by? Is there a dependency on other projects? Opportunity to remove anything from the project that is not required. Availability: requirements to deliver highly available operation in compliance with SLAs, as measured by percent uptime of relevant components. Manageability: requirements for ease of managing the environment and maintaining normal operations. Sub-qualities may include scalability and flexibility. Performance: required standards of responsiveness of components of the designed environment. Recoverability: requirements for the ability to recover from an unexpected incident that affects the availability of an environment. Security: requirements for overall data control, confidentiality, integrity, accessibility, governance, and risk management, often including the ability to demonstrate or achieve compliance with regulation. Requirements will be either functional or non-functional. Use the current state analysis and requirements from interviews to contribute to the high-level design. Once you have categorized business and technical requirements, go back to the stakeholders with a conceptual design. Remember this is an iterative process. Make it count! Be inclusive! Once the conceptual design is approved, you can move onto the logical design. This will make creating the logical design a simplified and easier process. Some of these are the official tools that appear in the Blueprint, the rest are resources gathered somewhere else. “Design and Deploy: Get the most from your VMware Investment”, by Andrew Ellwood. Free webcast, available from VMware Education site. If I understand correctly, this resource was to be retired as of 06/12/16. I’ve been mostly a systems administrator for the last 10 years or so, and my (brief) experience with infrastructure consulting and design is far away in time. While it is true that, before that, my day to day job dealt with software consulting, customer’s requirements gathering and (mostly) programming, design requires a different skill set than the one I am now used to. 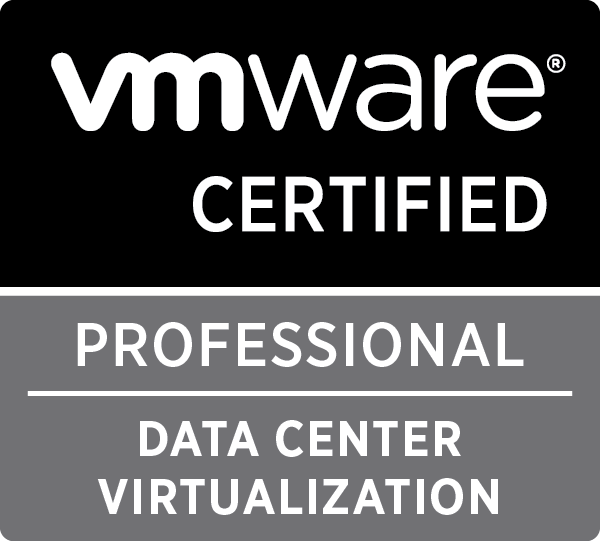 So now, after having some months ago passed VCAP5-DCA, I’m now in the mood for a challenge and I’m going for the design part of VMware’s datacenter certification portfolio: let’s do VCAP6-DCV Design! From now on, I will be publishing here my study notes and links to resources, mostly for my own use but you are welcome to use them. Please take into account: this is a work in progress, and I will probably be editing some of the pages in a daily basis. I will be following VMware’s official blueprint. As VMware develops more exciting functionality, the blueprint will also change with respect to technology, but the overall theme of and feeling behind this certification should not. After all, platform design processes and thoughts do not change, the technologies do. 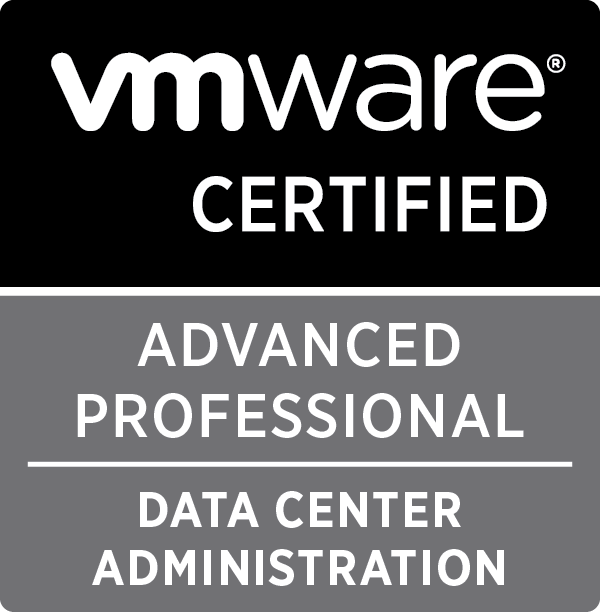 VCAP5-DCD Official Cert Guide, by Paul McSharry. Scott Lowe’s Designing VMware Infrastructure, in Pluralsight. If you don’t have a subscription, you can get a 10-day free trial. Casi me ha pillado el toro, casi. Tras meses de procrastinar en la preparación del VCAP5-DCA he estado a punto de dejar caducar mi VCP5 y, entre las opciones que tenía para evitarlo, opté por la solución que parecía más sencilla: el VCP5-DCV Delta. se trata de un delta, supuestamente comprueba tus conocimientos en cuanto a los cambios producidos entre las versiones 5.0/5.1 y 5.5 de vSphere. El contenido detallado del examen aparece en el blueprint. Dispones de algo menos de dos horas (75 minutos + 30 minutos adicionales si el examen se realiza en un país cuyo idioma nativo no sea el inglés) para responder a 65 preguntas tipo test sobre vSphere, VSAN, VDP, etc. Hice el examen en mi casa el pasado sábado, literalmente en zapatillas, superándolo sin demasiados problemas. La impresión que me ha dejado es que se trata de una prueba bastante asequible para cualquiera que administre a diario una infraestructura de vSphere. En mi caso tenía ciertas lagunas en herramientas y productos que no utilizo habitualmente, como vCOPs o VSAN, pero nada que no pueda superarse leyendo previamente la documentación enlazada en el blueprint. Dos años más de VCP. Ahora a por el VCAP, antes de que VMware lo retire. Tengo en casa un pequeño laboratorio para hacer experimentos con gaseosa, sobre todo en lo que se refiere a virtualización (léase VMware). El laboratorio consiste, a grandes rasgos, en una máquina más o menos decente, con un ESXi instalado que ejecuta, como máquinas virtuales, un par de ESXi anidados, y que forman un entorno de virtualización en el que puedo hacer pruebas de forma más o menos desahogada. 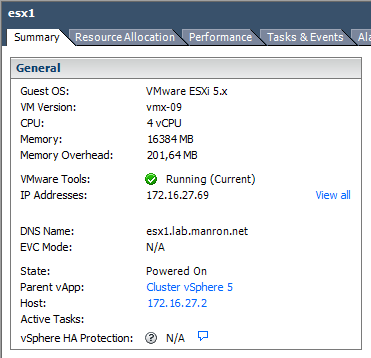 El caso es que, trasteando este fin de semana con el entorno, echaba de menos la posibilidad de instalar las VMware Tools en los host ESXi virtuales. Tras una búsqueda rápida en Google, comprobé que no había una versión específica para máquinas virtuales ESXi. Caso cerrado. Peeero, oh casualidad, acabo de ver en virtuallyGhetto que VMware ha publicado hoy un VIB que permite instalar las VMware Tools en un host anidado. 1. Descargar el VIB de VMware Labs, y subirlo en un datastore al que tenga acceso el host en el que queremos instalar las Tools. 2. Poner el host en modo de mantenimiento. sustituyendo la ruta al VIB (en mi caso, el directorio varios en el datastore ix2-0 por la ruta que corresponda).